Matthew 16:2-3 - He (Jesus) answered them, "When it is evening, you say, 'It will be fair weather; for the sky is red.' And in the morning, 'It will be stormy today, for the sky is red and threatening.' You know how to interpret the appearance of the sky, but you cannot interpret the signs of the times." Last week I had a dream. In my dream I was having a very intense confrontation with Satan. It was bearable however because in my dream, I knew that Satan's time was coming to an end and his days were numbered! He knows his days are numbered as well! It should not surprise us then that he is reeking havoc in the world! As his reign is getting closer to being over, there are going to be more and more manifestations of evil. 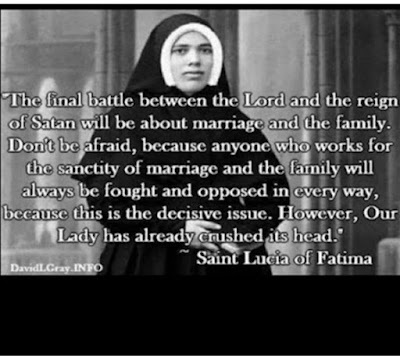 Also manifestations of evil will be more manifest as the reign of God becomes more apparent. Another thing that happened last week, on April 21st to be exact, is Prince died. He was a Pop icon from the 80's. I was personally into him when I was a teenager. His music happened to lead me down a very dark road. There is a good chance he could have come to know the Lord before he died. I do not know anything about that but I think in a prophetic sense, he symbolized a worldly spirit and the Prince of this world. Again, the Prince of this world is coming to an end! In prayer recently, I also saw an image of the Statue of Liberty with the torch of fire in her hand. I felt like the Lord said, "True liberty comes through fire!" This word was for our nation. However, whenever I receive a word for the nation or the world, I get the privilege (sarcasm) of experiencing it first. That is even one way we can discern the signs of the times; what is happening in our own life? If we are living for the Lord, we are prophetic people and what is going on in our life can reflect what is going to happen, in a sense in the world. For me, the spiritual warfare lately and God's purifying fire has been rather intense! I am definitely being stretched to the max! There have been blatant manifestations of evil and major testings of my faith! I have a suspicion that 2017 is going to be an interesting year for our nation and the world! May 13th, 2017 is also the 100th anniversary of Our Lady appearing to the three little shepherd children in Fatima, Portugal. These are uncertain but also exciting times! We are going to get to see things that people in the past longed to see! The Kingdom of God's reign is at hand and there will be great manifestations of His Spirit! His purifying love is going to consume our world! For those willing to receive it, this is great news! *Edited to add - I find it interesting that on May 13th of this year, also the anniversary of Our Lady of Fatima, Obama issued a mandate that all public schools need to allow their bathrooms and locker rooms to be gender neutral. 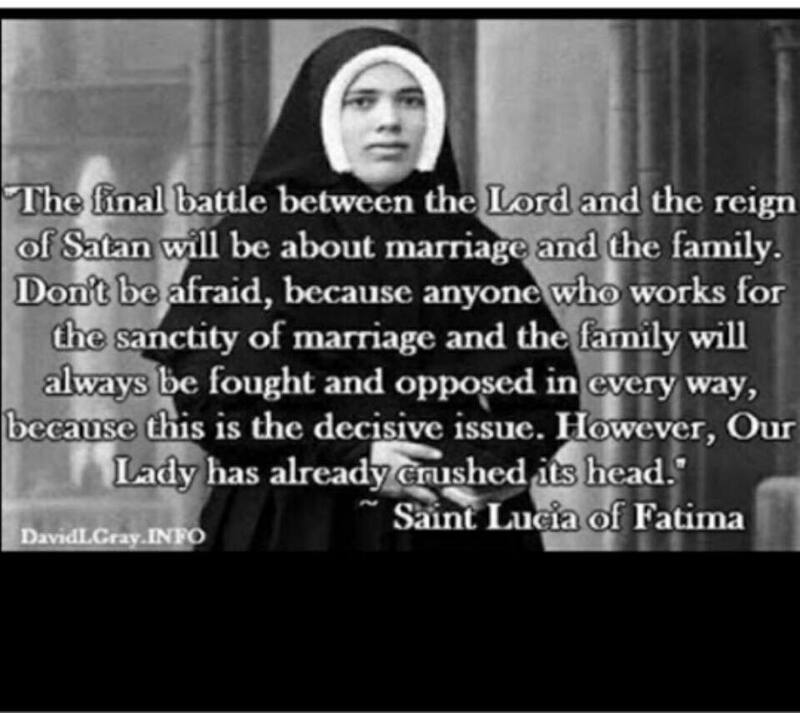 I can't help but think of the above quote by Sr. Lucia (one of the Fatima children) concerning the last battle. I have no words to thank you for this, for you've said so well what I can't seem to articulate. I'm with you on everything... thinking 2017 will be significant, what you said about Prince, even personally being stretched to the max. It is hard to see the INSANITY all around us growing by the minute, and harder still to see that the world seems quite unaware of it. And I love, love, love your last paragraph. His purifying love is going to consume our world! Hallelujah - dear Lord, let it be! What's Up With Essential Oils?